To the untrained eye, this would appear to be a cumulonimbus, in a cold environment. It's only a patch of cirrus stratiformis with convective elements within. The patch of high cloud converged with dark cumulus in the distance producing an illusory CuNb. 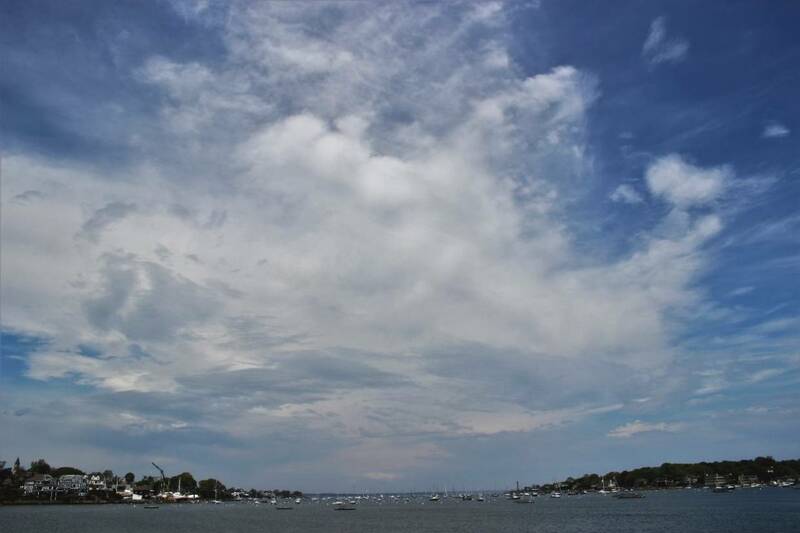 The cumulus that preceded dropped a brief smatter of drops. View is north northeast to the harbor.